There is no better 6S LiPo battery upgrade than this if you're looking to reach top speed in your Unlimited Desert Racer. Long run times with 6000mAh of capacity while holding incredible voltage under load. 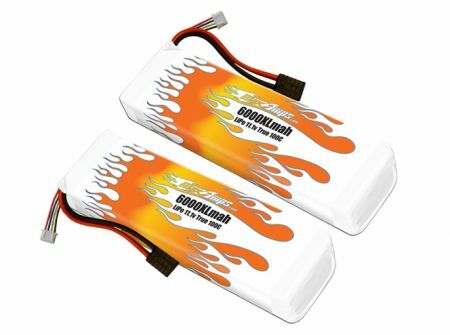 This pair of 3S batteries will make your brushless Traxxas Unlimited Desert Racer scream! If you're looking for an insane amount of power, these are the packs for you!